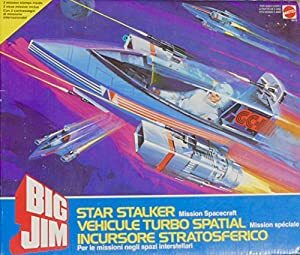 Big Jim toys were a line of 10-inch action figures sold during the 1970s and 1980s. So yeah, it’s probably only interesting if you’re a bloke in the US or Western Europe who was born in the early 1970s. Obviously, a lot of the material in the P.A.C.K. writeups is speculative. The primary sources are limited. Group Affiliation: P.A.C.K. (Professional Agents/Crime Killers, if you must know). Height: 5’11” Weight: 190 lbs. 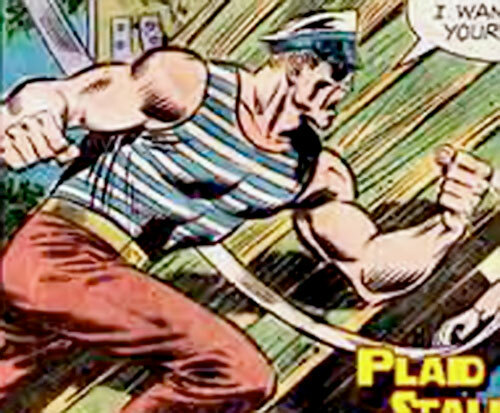 Torpedo has an artificial fist mounted on a powerful telescoping shaft. Yes, just like Boris the devious chauffeur. How odd. It can punch through a log, though I’m not sure how long it takes to re-arm it. He also has a fairly improbable array of skills. I assume he was some sort of Naval commando that got transferred to Navy Intelligence after he lost his left hand to a shark, and an eye in unrevealed circumstances. Torpedo barged into Big Jim’s hideout. He had just learned that Big Jim had been mandated by the “International Crime Fighting Commission” to search the world and put together a crack team of “expert crime killers”. He demanded to be part of that team. 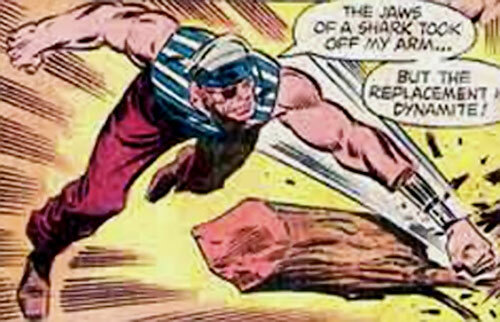 After he showed how he could punch through a log, Torpedo was recruited on the spot. Because Big Jim, he doesn’t fool around with red tape, no siree Bob. The P.A.C.K. fought the machinations of exceptional crime lords such as Zorak (a Mole Man clone) from about 1975 to the early 1980s. 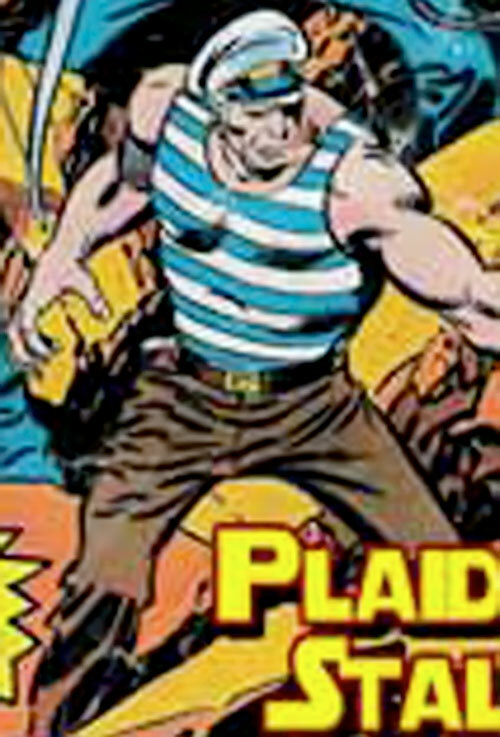 Most of the promotional comic can be viewed at the leading site of 1970s camp and acquired taste – plaidstallions.com . All P.A.C.K. agent have a wolf’s head tattoo on the back of one hand. They also wear special boots that leave wolf tracks in soft ground. Why ? I don’t know. Hard to say. He seemed to be something of a womaniser because, errrr, it’s something guys in striped sailor shirts do. Maybe. I guess ? The PACK makes up a fairly good late 1970s/early 1980s action force, if your campaign needs one. They could easily be incorporated in the history of Marvel’s S.H.I.E.L.D. (Nick Fury’s outfit) or DC’s CBI (King Faraday’s agency). Or succeed the Village People, depending on what you think is most appropriate. Expertise (Intelligence analyst), Iron Nerves. Big Jim (Low) – and when you got Big Jim you don’t need any other connection, man. 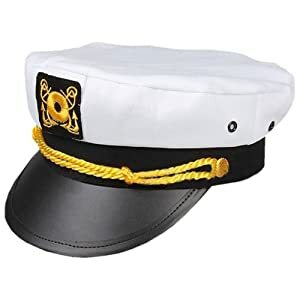 Though he also might have Sailors (Low). Creepy Appearance (Eye patch), MPR (Missing an eye), MPR (Non-functional left hand). Torpedo’s main fighting asset is his TELESCOPIC PUNCHING HAND [BODY 09, AV 07, EV 07, Ammo: 01]. His sekrit disguise includes a raincoat and a hat, which is, mmm, always good when it’s raining. 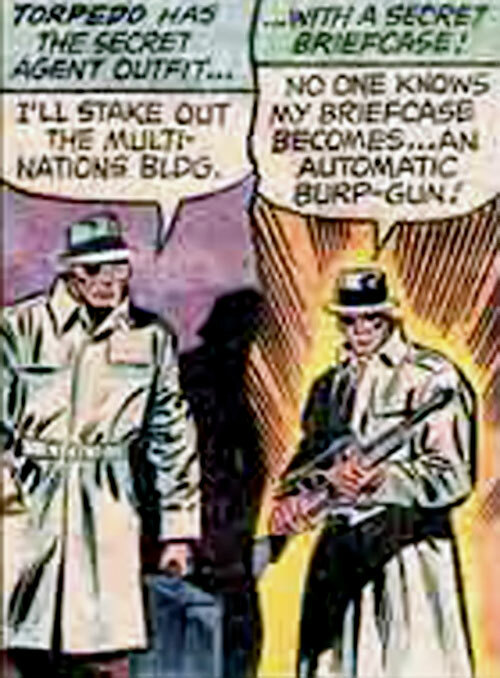 It also includes a submachinegun hidden in his briefcase, which can pop out instantly. I assume it might be one of those Uzi-carrying briefcases [BODY 04, Projectile weapon: 05, Ammo: 06, R#02, Advantage: Autofire, Insta-change]. Source of Character: Big Jim toys and promotional comic in the 1970s.